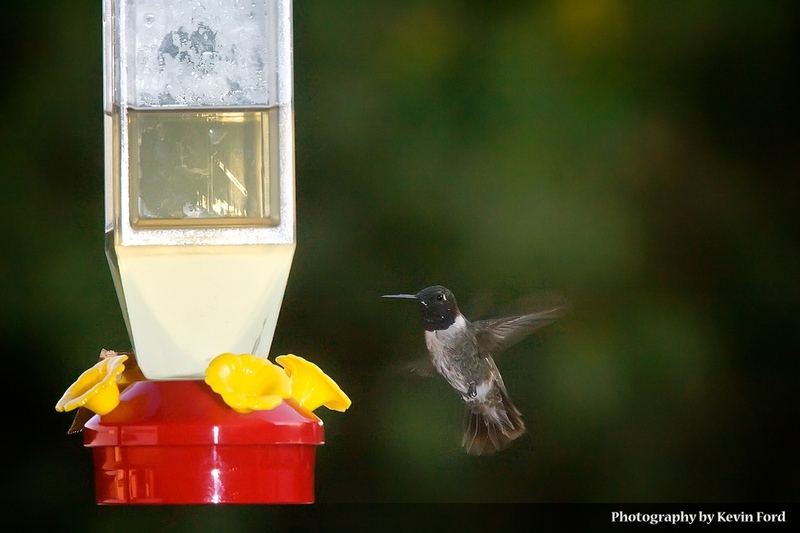 There are so many things that aren’t known about these little birds, humming birds with all their charm seem to never stop moving. Humming birds spend their days flying from here to there looking for the next flower that they can stick their beak in and use their long tongue to collect nectar. One of our recent purchases, to remind us to enjoy the small things in life was this humming bird feeder and what an enjoyable time I have been able to have with it. I looked up the recipe for the sweet nectar in from which this little fellow was dining. With friends on their way to visit, one being just as much a photographer as myself I was only able to wait long enough for them to arrive to capture photographs of these frequent visitors to our front stoop. 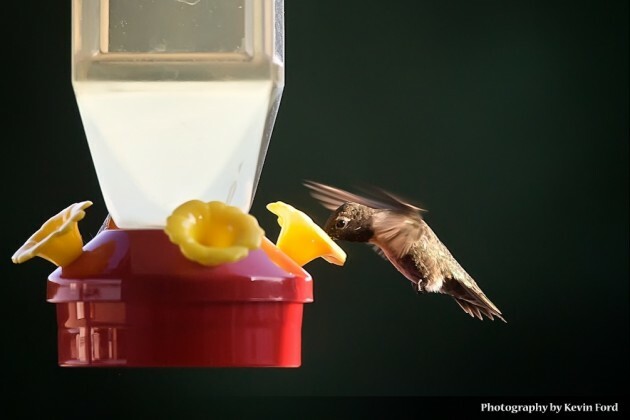 Though many photographs were taken I thought that these were some of the best the first showing the fast movement of the wings of a humming bird. 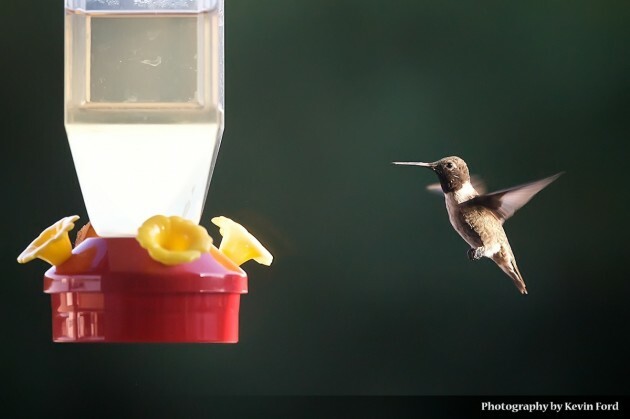 Most of the images seen here were photographed with a Canon 1D Mark IIn with remote flashes assisting in the stopping of the humming birds wings. When food is at stake humming birds accustom themselves to things added to their environment quickly, it took only 5 minutes for them to be completely fine with the presence and flashes of my equipment. A quick read over at strobist.com will help you with an appropriate setup, my flashes were placed at 90 degree angles to the feeders. 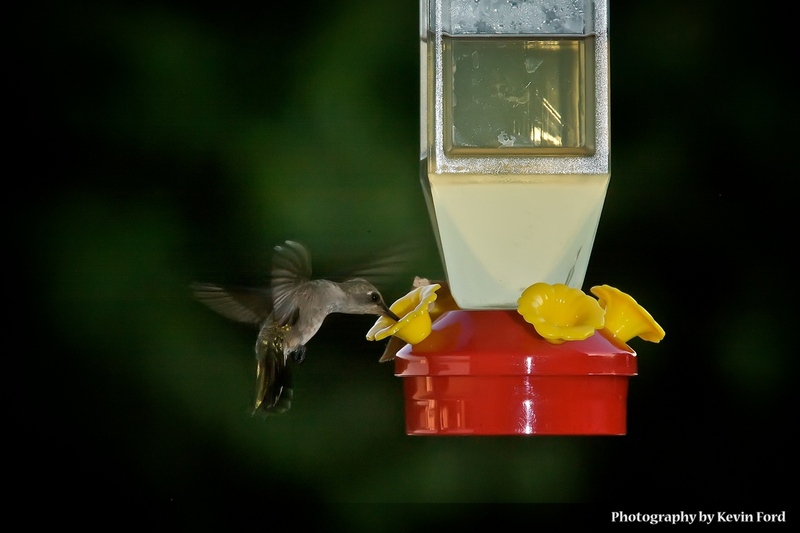 Just a note for those who think about setting out a humming bird feeder, it may be fun for a while but keep in mind that you need to ensure that the birds don’t become dependent on the sweet sugar laden water. It’s may be best to leave them to gathering their food from the sweet flowers around your home, try to find flowers that they will frequent and that would be best overall for them.